Other times I’m NOT calm and cool – when I’m not prepared. Like when someone asks me to meet them for dinner in 5 hours and I look like the “before” photo on the left. I recently cut my hair shorter in attempt to even it out so I can begin the growing out process. In my half-awake state yesterday morning, I decided I would bring out my natural curl. On some level I knew it was a bad idea with my hair this short but my personal history proves that bad ideas are no deterrent for this girl. So I pulled out my diffuser and proceeded with my ill-advised plan. When a hay-like fro emerged, I went into fix-it mode and added the headband and flower to try and “detract” from the 80s Meg Ryan meets Guy Fieri look. You can see for yourself how well it worked. And I didn’t stop there. In an effort to find balance, I added the ginormous fish hook earrings. Needless to say, when I agreed to meet my online suitor for a quick bite, I went home and hopped straight in the shower to start over. The end result was the “after” picture on the right. Maybe not my best first date look but certainly a step up from the Billy Idol Wannabe I was before. 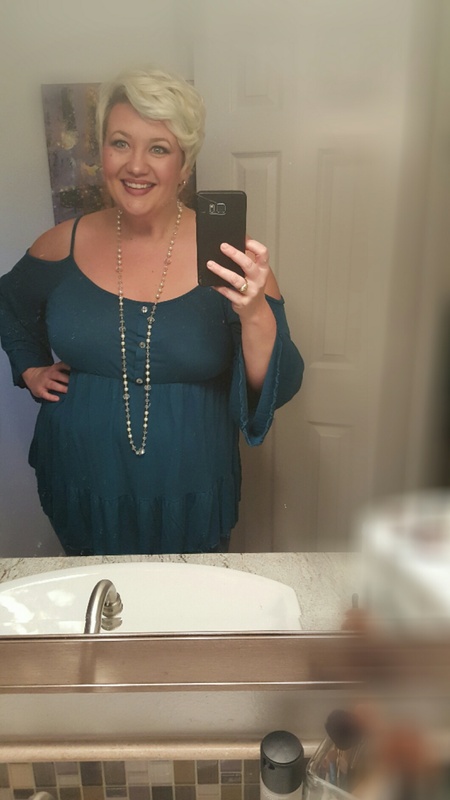 Would my date have cared if I had shown up looking like the before pic? Who knows? But I would like to point out that I put much more effort into getting ready for this date than I did for my last one (See All Dates Are Not Created Equal, here). I brushed my teeth and everything. How did the date go?? Honey, I will go on FOUR dates just to be sure! This elusive chemistry that everyone is after is just hormones and not an indication of anything. If he’s a decent person, and you had a good time- don’t let him go just yet! Wow…LOVE THE HAIR DO, you go girl! So brave, I haven’t had the guts to do any before & after shots. This elusive chemistry that everyone is after is just hormones and not an indication of anything. << Really? I'm Not Sure If That's A Relief Or Not. So When I Felt Absolutely Nothing On My First Dates I Gave Up Too Soon? 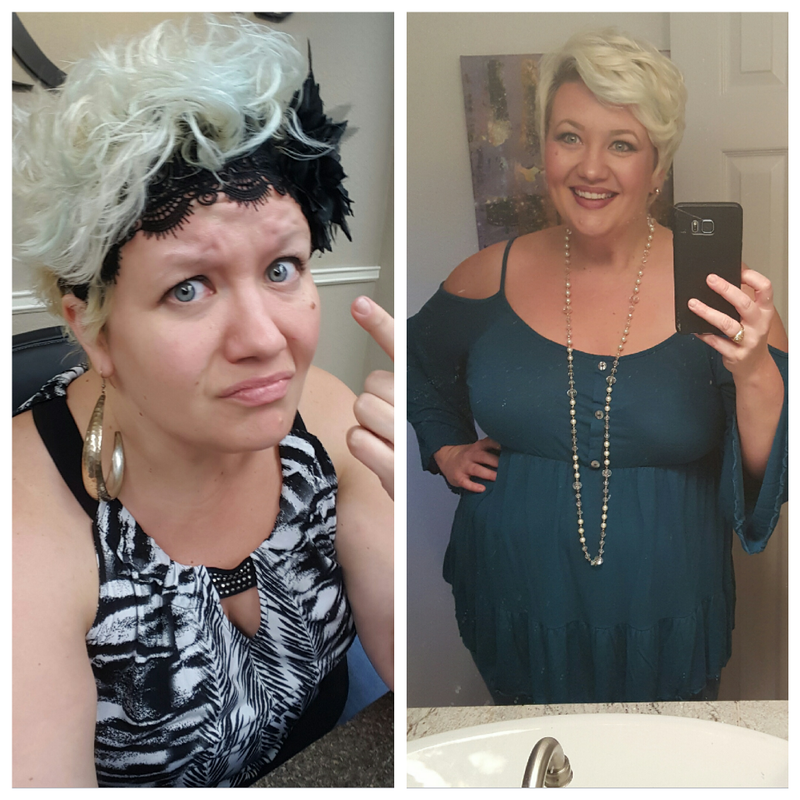 OP Transformed From 80s Casual To 50s Glamour!